“Without context, words and actions have no meaning at all. This is true not only of human communication in words but also of all communication whatsoever, of all mental process, of all mind” . To explain their relations with the rest of the units of the linguistic system. It is focused in particular on mapping out the units that are effectively used by experts in specialized communication. It does this by first identifying the terminological variations in their contexts of use and then works back from these units to identify the characteristics of the texts and the units and the conditions in which lexical units acquire their terminological values. It is admitted that variations are essential properties of the communication between experts; and, both terms and concepts must be studied in their dynamic interactions. CTT “conceives its object (i.e., terms) as cognitive units instantiated as lexical units in natural language”  and applies a multidimensional view in the observation and analysis of these units. This multidimensional (or so-called interdisciplinary) view toward communicative aspects of terms is used to set the basis of any empirical research in a systematic manner. 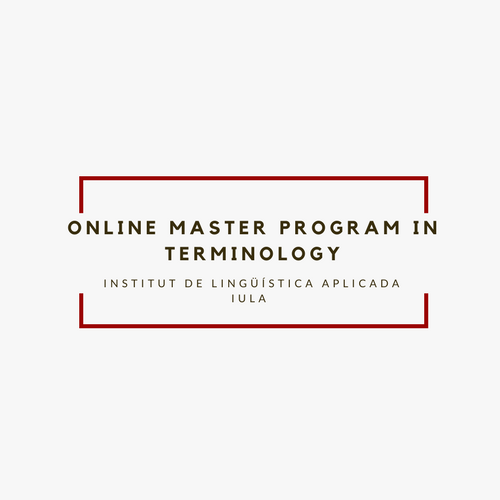 In this sense, CTT focuses on corpus-based terminology and as long as specialists are involved, the methodology holds experts’ insights and specialized values are regarded. […] observing requires to know well what one wants to observe, that is to say, to have a series of prior ideas about the object, either in the form of presuppositions or in the context of a well-constructed theory. Some other researchers have also discussed the importance of the context in terminological studies. Dubuc and Lauriston (1997) put the emphasis on the role of context inasmuch as the existence of a term is conditioned by its function in the context. They describe that “in order for a term to exist, it must not only have a recognizable form that is lexicalized to at least some minimal extent, but it must also belong specifically to or be closely associated with (classified in) some field of application. Contexts are important to terminology with respect to the relationship of a term with its field of application” . Context plays an important role in disambiguation of meanings and comprehension of the precise meaning of words. In the area of applied linguistics, understanding the context is an important task. Faber and León-Araúz (2016) believe that “specialized knowledge units or terms acquire their meaning in context” . Through this approach to context, the precise link between terms and the contextual functions of them can be fully understood. This leads to the better perception of dynamicity of terminological units wherein a detailed understanding of how variations actually happen is of the highest importance. It also leads to a better understanding of the diachronic evolutions of terms, comparing the use of variations and their diversity for certain concepts that goes beyond the mere identification of terms. It is worth noting that a better understanding of how terms are applied in various contexts, terminological representations and the mechanisms of contextual interactions will lead to innovative systems of terminology and knowledge management as well. Bateson, Gregory (1988). Mind and Nature. Bantam Books. Dubuc Robert, Lauriston Andy. (1997). “Terms and contexts,” in Handbook of Terminology Management, eds Wright S. E., Budin G., editors. (Amsterdam: John Benjamins; ), 80–87. Hall, Edward T. (1977). Beyond Culture. Anchor Books. Faber, Pamela, & León-Araúz, Pilar. (2016). Specialized knowledge representation and the parameterization of context. Frontiers in Psychology, Vol. 7. Pingback: (TOOL) – Context Matters | Besharat Fathi – 📚 Glossarissimo! Next Next post: Terminological Analysis: Where to Begin?